The Vice-Chancellor of the University, Professor Olusola Oyewole, has called on government and other stakeholders to increase the admission quota of the nation’s tertiary institutions, in order to give “more access” to admission seekers. Professor Oyewole made the plea after inspecting designated centres for the Post-UTME examination at the University campus. The Vice-Chancellor, who expressed satisfaction at the conduct of the exercise, regretted that out of the over 28,000 admission seekers, the University would only be able to admit 3,500 based on the regulation of the Joint Admissions and Matriculation Board (JAMB). Professor Oyewole, therefore, encouraged the candidates whom “space won’t avail admission”, not to give up, while commending President Goodluck Jonathan’s effort at admitting young Nigerians with the establishment of more Federal Universities. 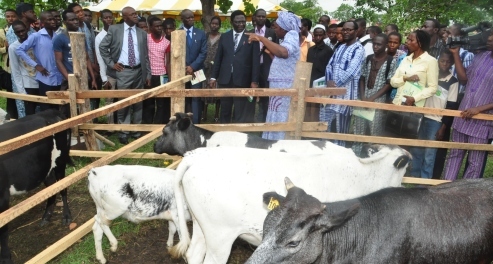 He, however, stressed the need to expand the horizon because of the sharp increase in the number of candidates. 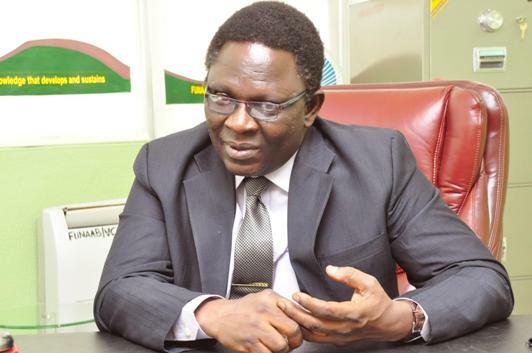 According to him, while over 17,000 candidates sought admission to FUNAAB in 2011, over 24,000 applied in 2012 while over 28,000 are now seeking enrolment into the University.